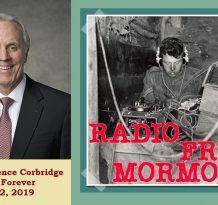 Today we explore the Book of Abraham in Radio Free Mormon Style. Bill Reel once again joins us and we proceed to lay out the following. 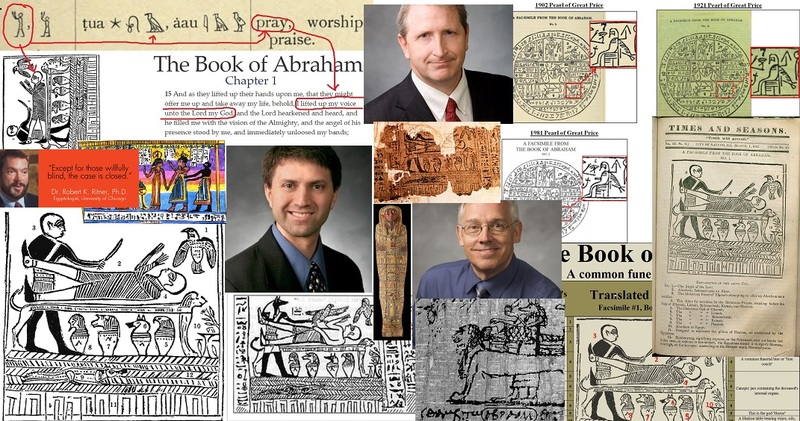 – We know from the Egyptian Alphabet and Grammar document that if we choose to be rational and logical the most reasonable interpretation of that document is that it represents Joseph Smith’s translation of The Book of Abraham. – An early Egyptologist named Gustavus Seyffarth viewed the missing papyrus in 1856 and described only the Hor text and Facsimile 3. He gave no indication of another text on the scroll, and in fact explicitly denied that the scroll contained a record of Abraham. – Klaus Baer predicted that the missing portion of the Hor text would be around sixty centimeters. Others who have attempted the estimate of the missing length agreed almost exactly with Baer’s estimate. In the end a Missing Scroll theory is simply a Red Herring. Why we know that a missing scroll does not matter? We know where Joseph was translating and it was on the existing papyri. There is a set of documents that the church has always had in its possession commonly referred to as the “Egyptian Alphabet and Grammar” by Joseph Smith. Most of us remember hearing a little bit about it growing up in the church but not really knowing what it was. 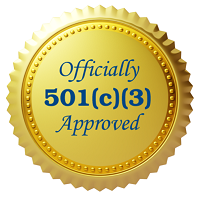 It was only briefly and rarely mentioned in church. With the discovery of the missing papyri in 1966, critics claim that these documents show a definite link between the papyri and the actual text of the Book of Abraham. The manuscript is in the handwriting of William W. Phelps and Warren Parrish, scribes to Joseph Smith, Jr. It is a bound book with handwriting on 34 pages with about 184 blank pages remaining throughout the book. There are characters in a left hand column with English explanations to the right. Original in LDS archives. There are 4 pages in Joseph Smith’s handwriting. 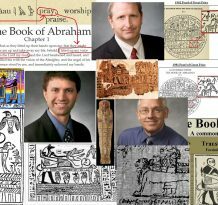 – The Times and Seasons with Joseph Smith as Editor along with Mormonism’s heading to the Pearl of Great Price in the past claimed the papyri was the writings of Abraham. – The Times and Seasons with Joseph Smith as Editor along with Mormonism’s heading to the Pearl of Great Price in the past claimed it was written by Abraham’s own hand. If the Catalyst Theory is correct, then God must be responsible for misleading Smith about the identity of the author of the papyri characters. – Joseph and his scribes wrote down the very symbols from the papyri we have along with a proposed meaning of those hieroglyphics and symbols in a document named Egyptian Alphabet and Grammar indicating strongly a literal translation. – Joseph Smith‘s translation and restoration of the facsimiles was incorrect. If the Catalyst Theory is correct, then God must be responsible for instructing Smith to incorrectly translate and restore the facsimiles. – The text of the Book of Abraham itself (1:12 and 1:14) declares that the source of the Book of Abraham has the Facsimile 1 fragment at its commencement, which is the Breathing Permit of Hor. If the Catalyst Theory is correct, then God must be responsible for instructing Smith to record verses in the Book of Abraham that incorrectly refer to the Facsimile 1 fragment. – The Small Sensen (Breathing Permit of Hor) characters are copied in order into the manuscripts where they are translated into the Book of Abraham. Therefore, Smith‘s own manuscripts indicate that the source of the Book of Abraham is the Small Sensen. If the Catalyst Theory is correct, then God must be responsible for misleading Smith to believe that the source of the Book of Abraham was the Small Sensen. – The Egyptian Alphabets end with two characters which appear in the manuscripts as the beginning of the Small Sensen and which translate into Abraham 1:1. Therefore, the Egyptian Alphabets indicate that the source of the Book of Abraham is the Small Sensen. If the Catalyst Theory is correct, then God must be responsible for misleading Smith to believe that the source of the Book of Abraham was the Small Sensen. I’ve been listening to your podcast while I’m assembling gifts for my kids on Christmas Eve. First of all let me say, I’ve enjoyed listening to your take, and I’ve been surprised to learn several new twists about the BoA that I didn’t know before. I consider myself fairly well read about it, but you guys had a couple if interesting nuggets that I wasn’t aware of! Bill at one point you wonder out loud if the church snuck footnote 46 into the Essay after the fact. I pulled up the archive as far back as I could find which was July 11, 2014 and the footnote does appear in that version. I haven’t spent any time trying to figure out if that is the same date that the church released the essay, but my memory tells me that it was roughly that timeframe. So it has been there for quite a while. Anyway, just thought I would answer the question that you asked! Thanks again for the well researched, interesting discussion! The reason an Egyptologist could find a love spell with the name of Abraham on it was that in ancient times spells contained multiple names of gods, goddesses, and mystical people. The papyrus comes from 300 A.D. and and it would make perfect sense for the name of Abraham to be included in what might be called a cc on a love spell. Magicians did not only address spells and curses to one God or magical person but too many because they did not know which God would be most receptive. Any Egyptologist would know this. Oh, My, Goth! Gee and Holland are just too much. Yes, Holland said that nobody has ever been given a license to lead a child away from the church. Oh, like when Jesus taught us to alert the flock and protect them from liars in that once “God’s chosen people’s” church which they perverted? It’s fair, I see, to say Holland is a Pharisee. Liar, liar pants on fire with a Bigggas beam in his liar mire. Nibley talked about the man on the alter in a prayer position in one of his books (either And There Were Jaredites or The World of the Jaredites, I don’t recall which) and laid out the interpretation that it was clearly a man praying, but he had to be drawn sideways to be tied to the alter. That book was published in The Improvement Era, so there is almost no chance that Gee and Muehlstein are not aware of it. I assumed that it has not been mentioned in any recent apologetic works because there is a known flaw with that interpretation. Muhlestein specifically has addressed the figure as one in struggle trying to break free which seems to indicate a lack of awareness of the better connection to Joseph imposing Abraham in a praying position. Gotta love how you ended everything on a positive note. Let’s keep the faith alive. Informative podcast for sure. In listening to Gee’s August address at the 2018 Fair Conference, I do wonder if he was directing his comments towards MI’s director Spencer Fluhman, as well as Brian Hauglid and Robin Jensen. In that their new BOA JSP book blows up all the apologist deflections except the catalyst theory, and show’s Gee’s own book to be terribly flawed, I believe that it caused him quite a bit of angst. And since the BoA JSP book was published in October, to his horror (not to be confused with Hor) Gee would have likely read the draft earlier that spring or summer.